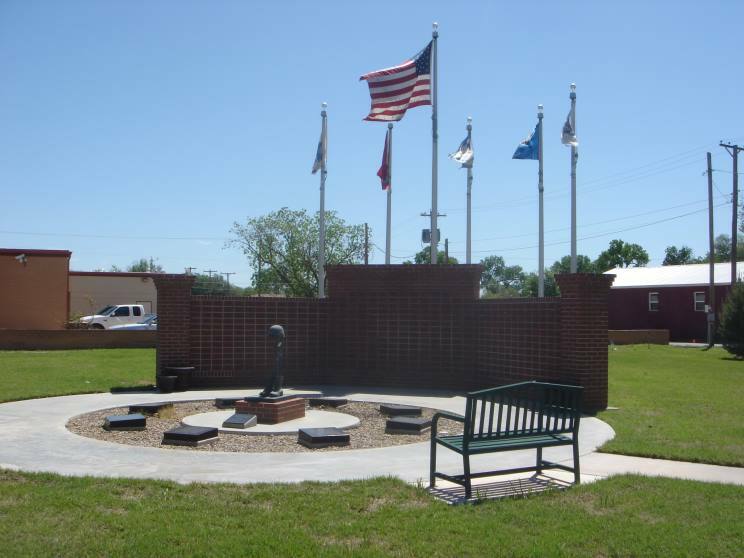 Laverne Veteran's Memorial Park located at the corner of Broadway and Jane Jayroe St. in Laverne, Oklahoma. 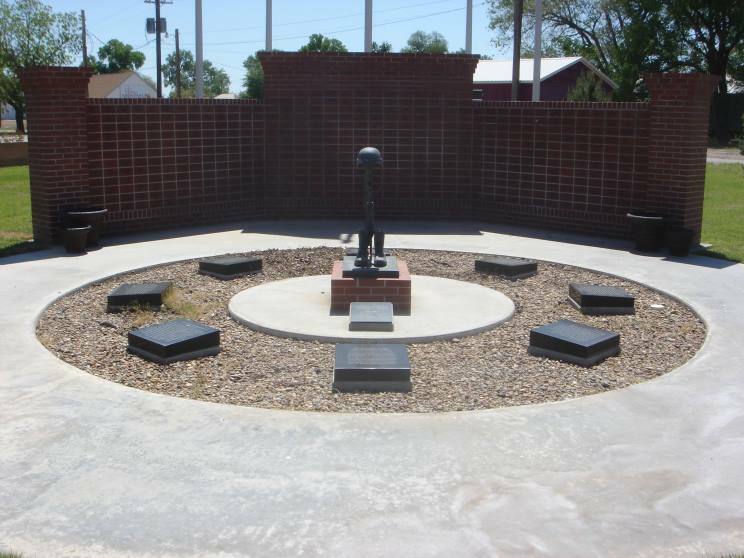 The memorial was dedicated on July 4, 2006 and commemorates the service and sacrifice of local residents. 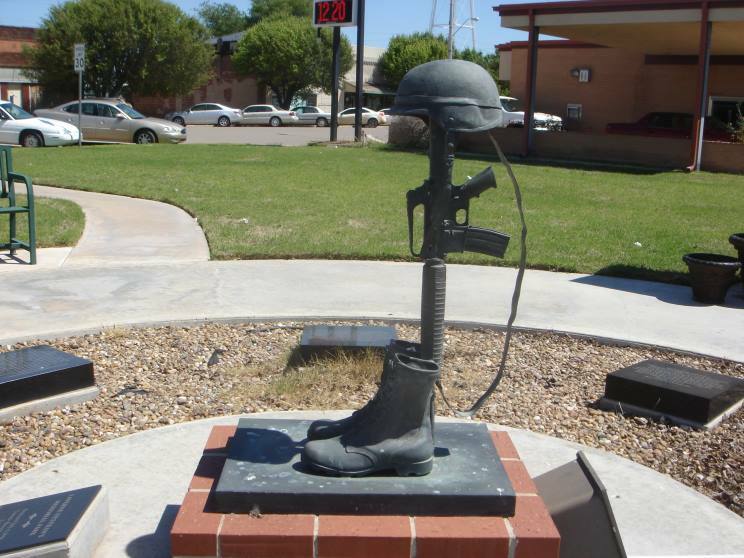 A "Battlefield Cross" at the center of a circular rock garden that contains plaques commemorating armed conflicts that local residents served in. They include the Spanish-American War, Great War, World War II, Korea, Cold War, Vietnam, Persian Gulf and Operation Enduring Freedom. In the background is the Wall of Honor which lists the names of those who served. 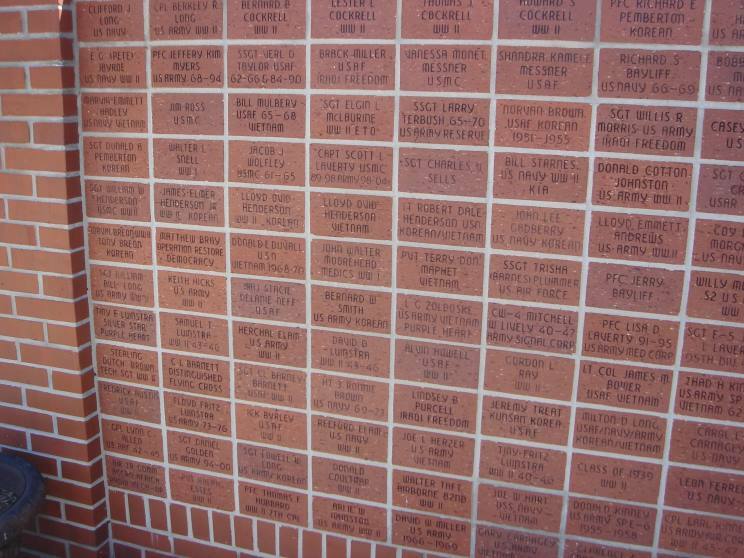 Some of the names of local residents who served and those who lost their lives in service of the United States are engraved in bricks that form the Wall of Honor. Close-up of the Battlefield Cross. 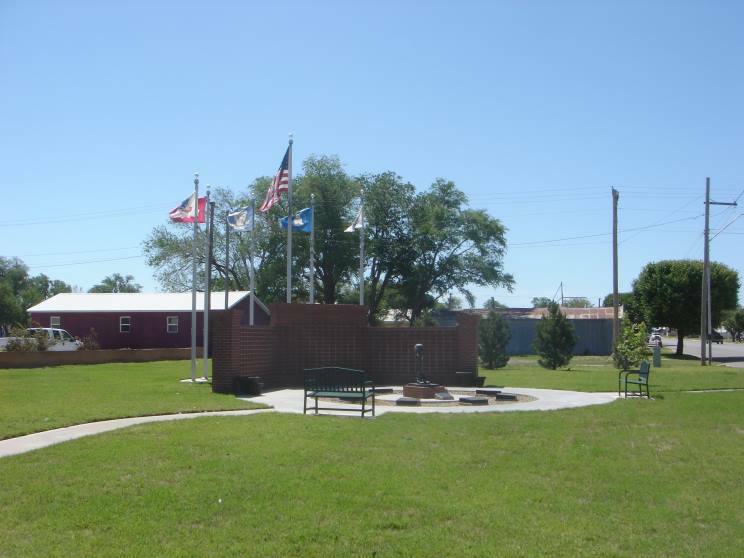 Another view of the Laverne Veteran's Memorial Park.